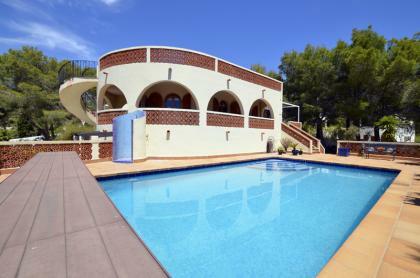 Spectacular luxury villa with great pool-sea views, located at first line in Altea. Villa with a build size of 722 m2 on an 1800 m2 plot, are in a quiet area of Altea with nice terraces, private heated pool and beautiful garden. The villa has a spacious terrace with an infinity pool to enjoy its magnificent views of the sea and the surrounding area. It also has private garage, BBQ area, wine cellar, Gym, office, elevator and an intelligent domotic system. The villa is built over 2 levels, inside are the living-dining room, which connects to the terrace through large sliding glass doors. It also provides a lot of light in the home. Next to the living room is a nice open kitchen, the villa has totally 6 bedrooms and 6 bathrooms, and also there are a cinema room in the villa. Downstairs also are a small kitchen, bedroom, bathroom and living-dining room for guests. Upstairs, terraces with sea views from the bedrooms, for enjoy and relax the special moments. The villa has many extras, such as air conditioning, underfloor heating, central heating, gas heating, white goods, separate toilet, satellite tv, double glazing, first line, modern and electric blinds. The beautiful garden around the villa is very well maintained and easy to maintain. The Villa is south facing. 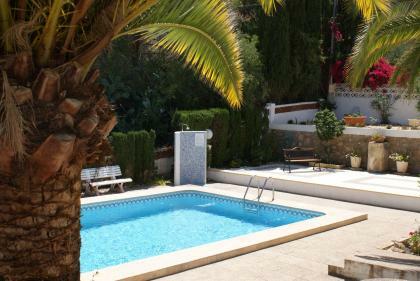 Only 100 meters away from the beach and 5 km from the center of Altea. © 2019 Select Estates. Alle rechten voorbehouden.